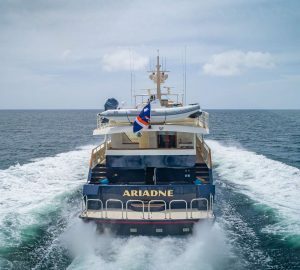 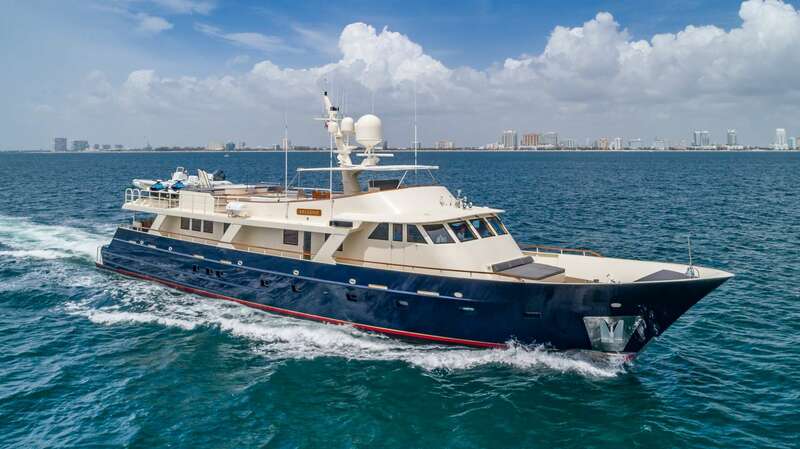 Launched in 1978 by Breaux Bay Craft, motor yacht ARIADNE (ex BAYOU) is a lovely classic motor yacht measuring 37.80m (124') and refitted to a modern luxury superyacht, offering professional services for relaxing and enjoyable charter vacations thanks to her crew of six. 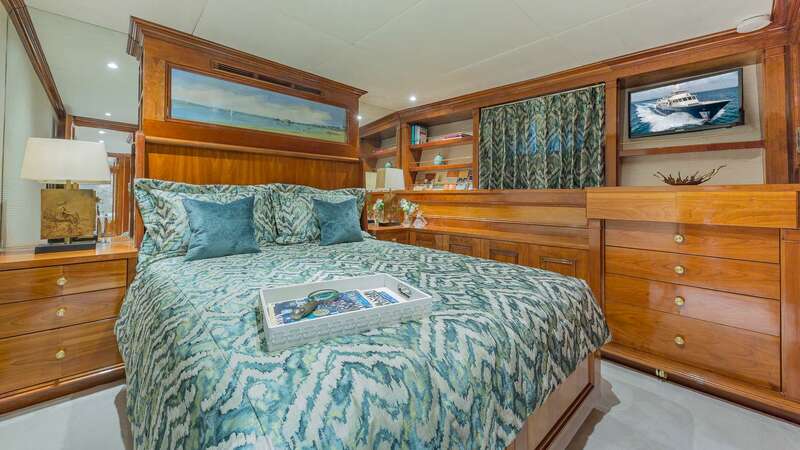 Accommodation spreads over four cabins and offers overnight stay for up to eight guests. 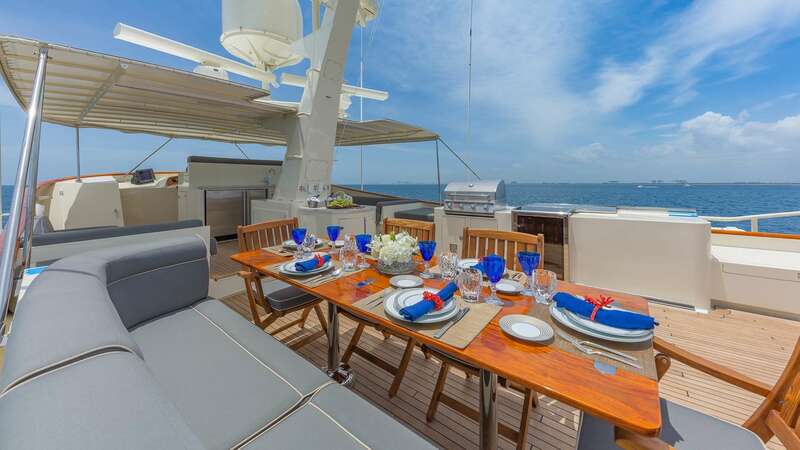 The main deck aft is fitted with a sumptuous sofa and elegant table for alfresco meals in a small group at any time of the day. 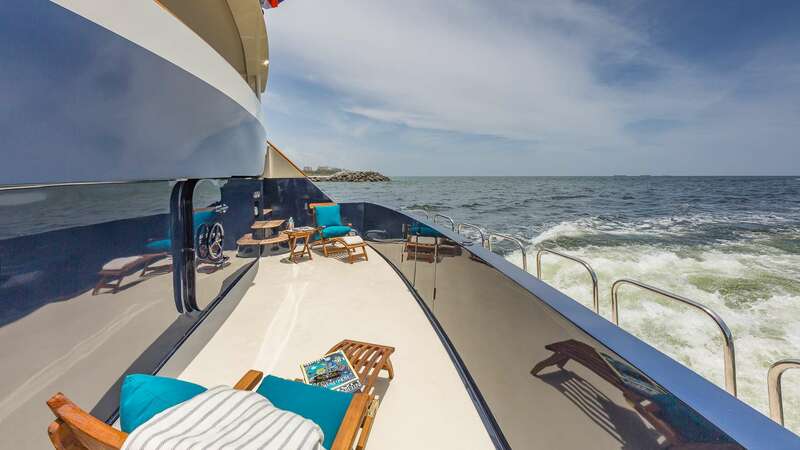 Stairs lead down to the swim platform and side decks lead around to the foredeck where guests have a choice of the sunbed in front of the raised bridge or the sunbed on the bow. 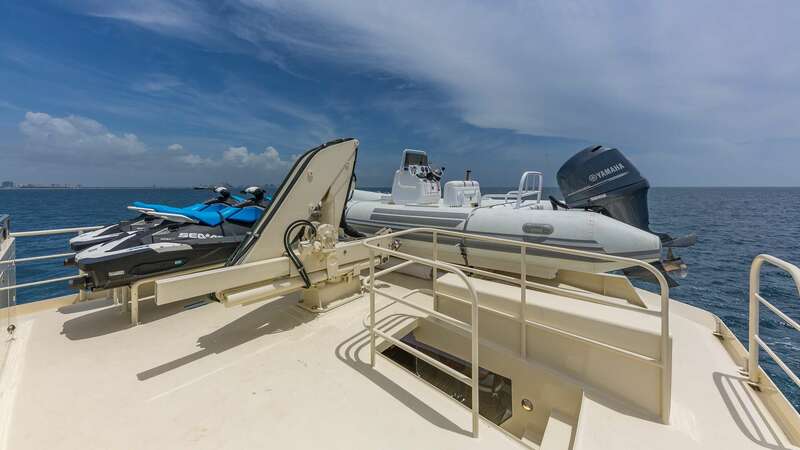 Up, on the flybridge, the aft area is dedicated to the toys and tenders, which are launched and retrieved using a Davit crane. 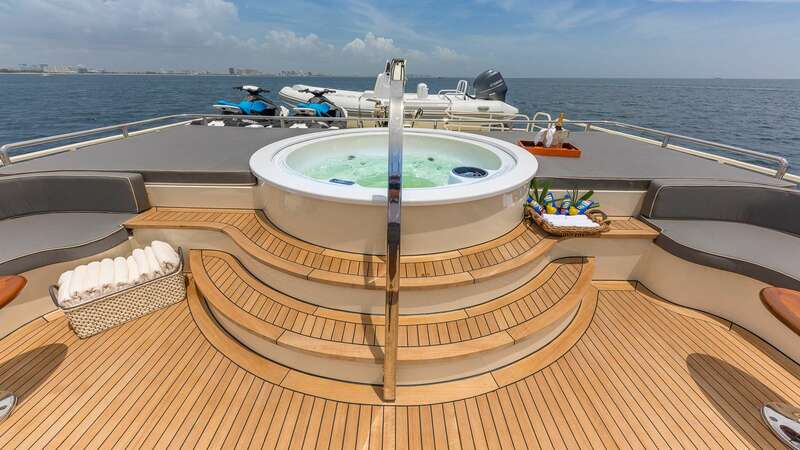 Immediately in front is the Jacuzzi surrounded by sun pads, with corner sofas and drinks tables to either side. 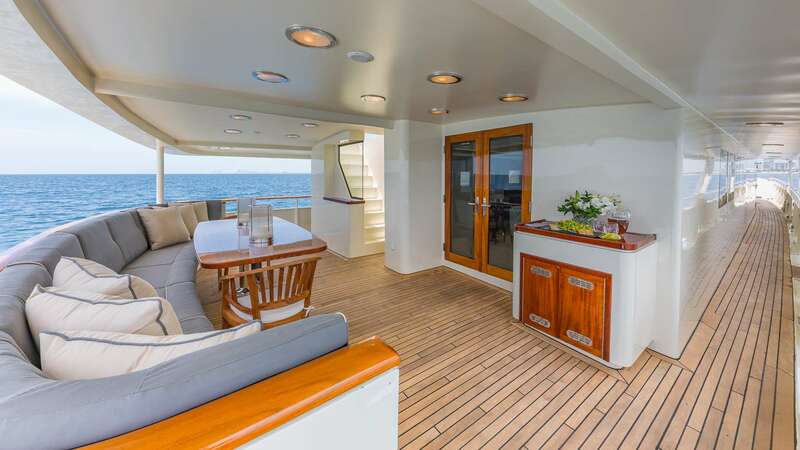 The central space is left clear for guests to use as they desire, while the port side is fitted with an additional sun-exposed sofa and table with a barbeque grill opposite. 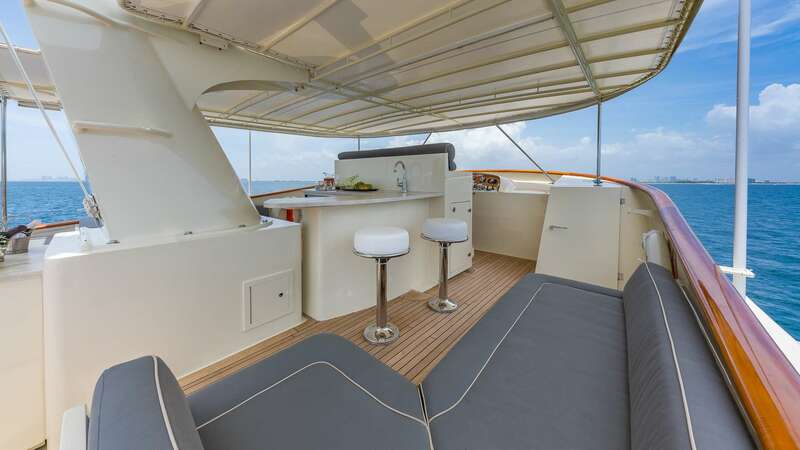 Beneath the soft-top is a central bar with L-shaped seating on either side. 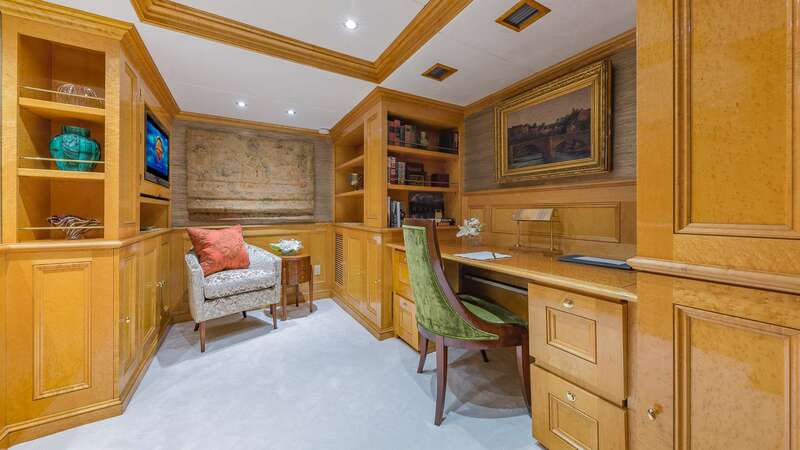 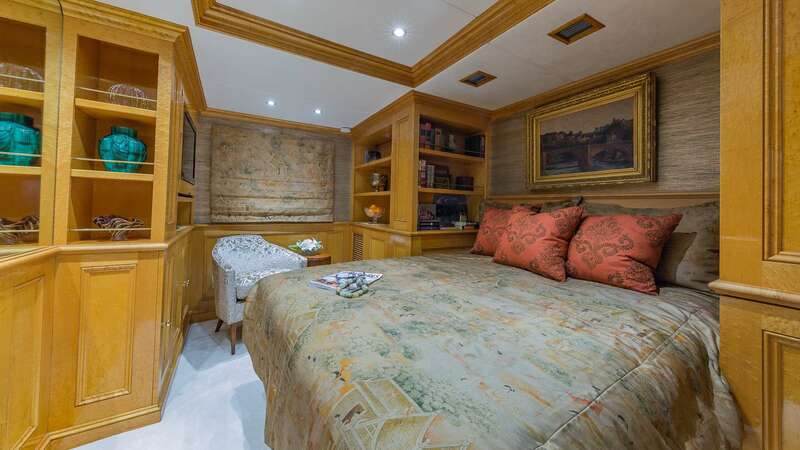 M/Y ARIADNE combines classic and contemporary interior styling for a rich and atmospheric setting while at the same time offering a fresh and spacious environment. 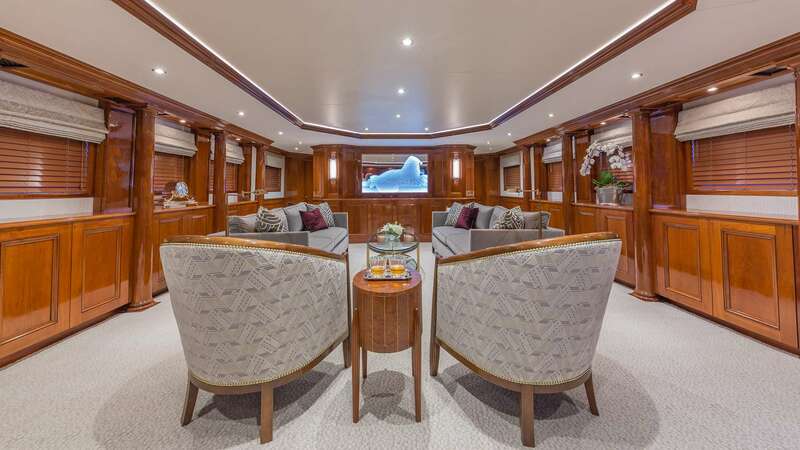 The main salon treats guests to a large and intimate environment that places the sofas and armchairs close together centrally for drinks and conversation. 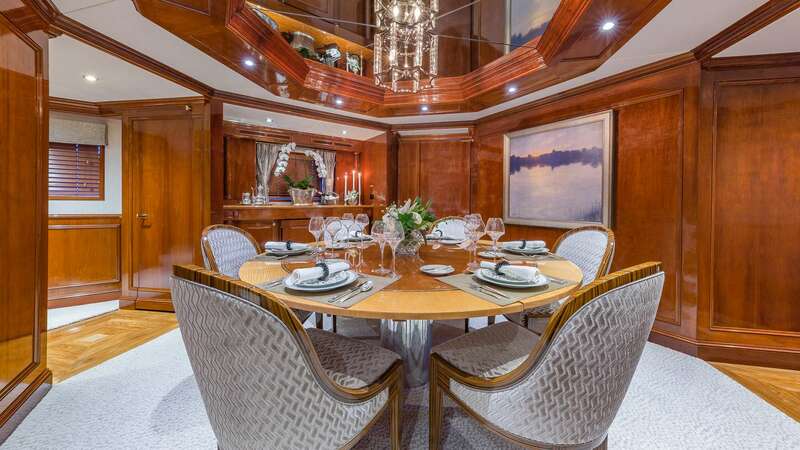 Farther forward, the corridor creates a separation between the lounge and the forward formal dining area, designed to seat up to six guests around a circular table for a memorable occasion. 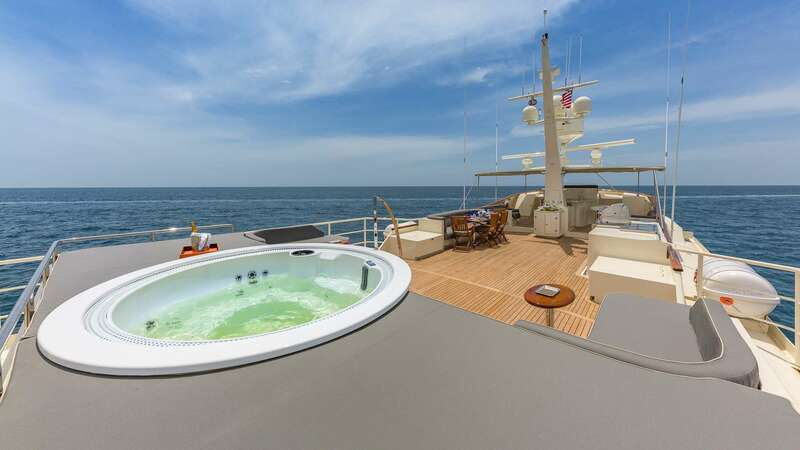 The guest and crew accommodation is placed on the lower deck. 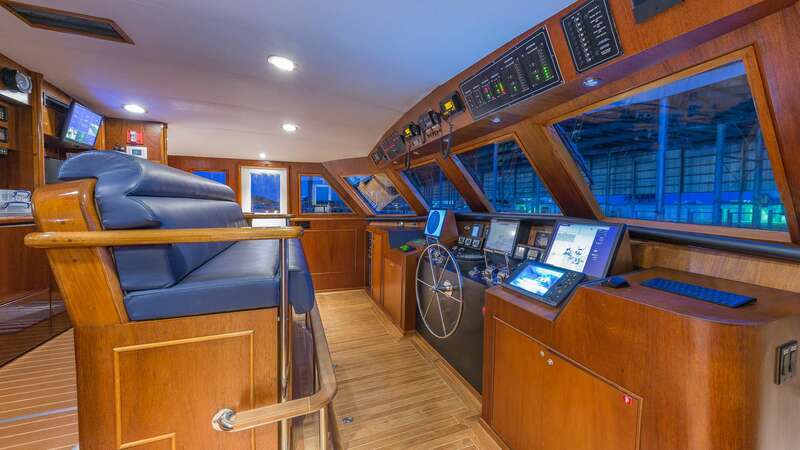 Quadruple John Deere 6135 Series engines each producing 650 HP allows for a maximum speed of 19 knots and a cruising speed of 16 knots. 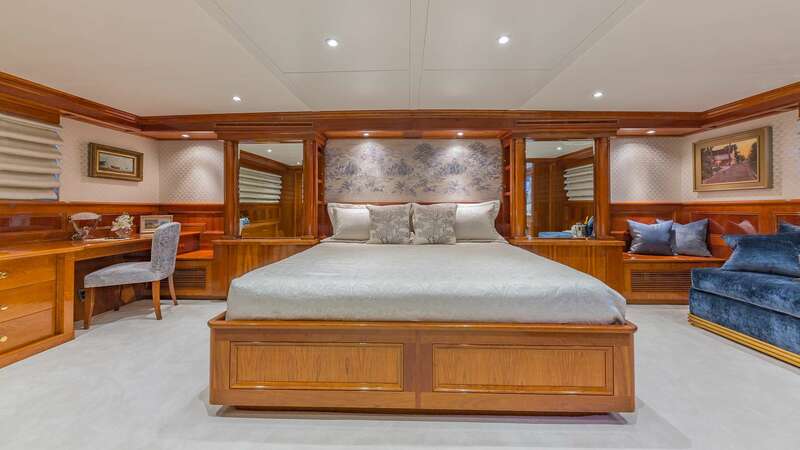 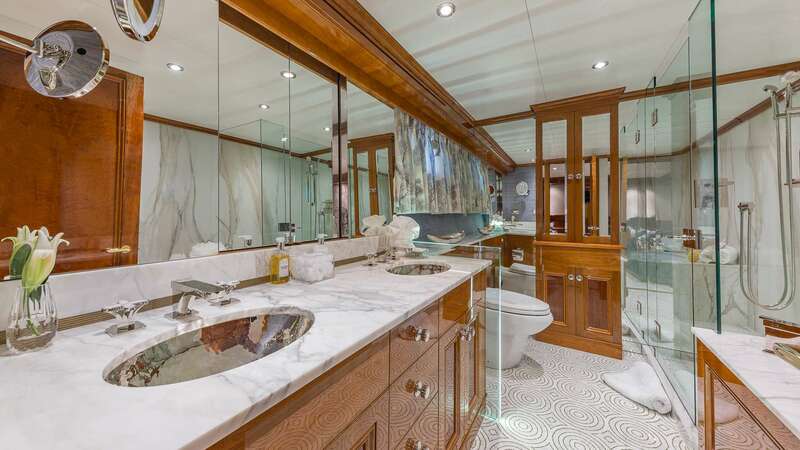 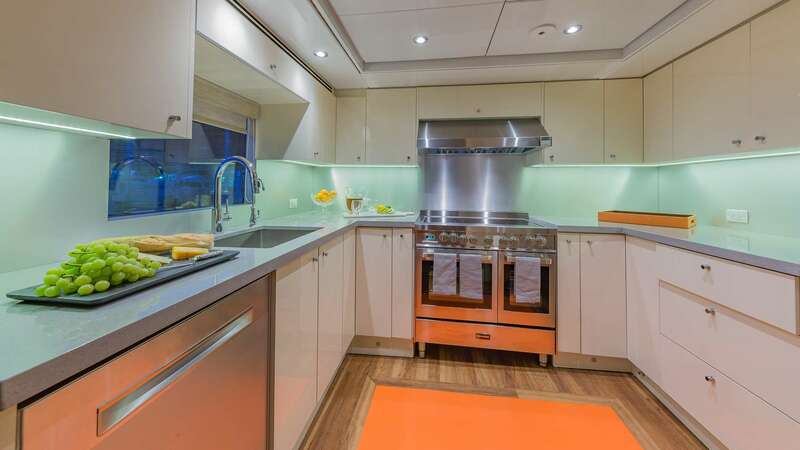 Accommodation is provided for up to eight charter guests on board, spread over four deluxe cabins, including one master suite, two doubles and one twin cabin which is convertible into a double. 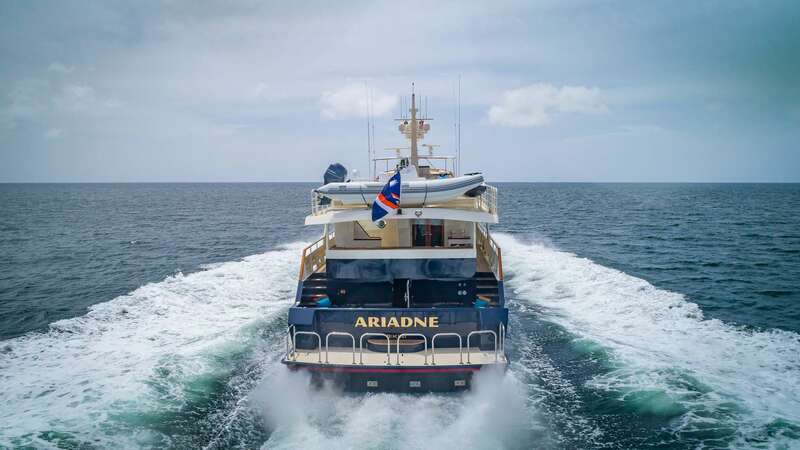 We do have available further amenity, owner and price information for the 37.80m (124') yacht ARIADNE, so please enquire for more information.